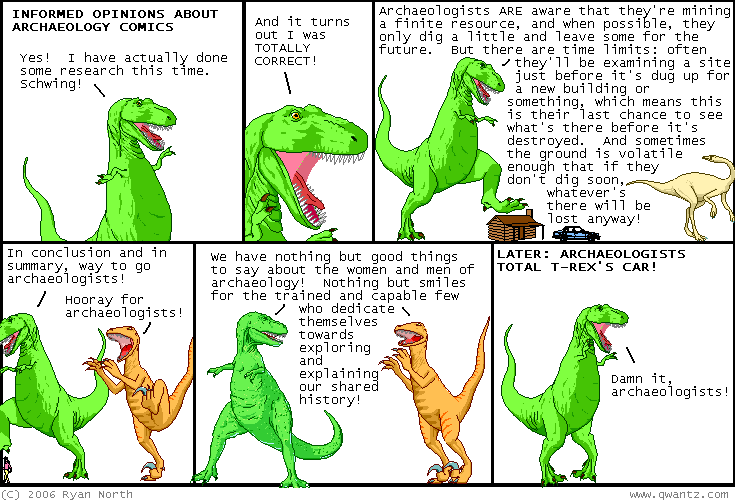 Dinosaur Comics - December 20th, 2006 - awesome fun times! –It was a working factory, and those people were trying to do their jobs! Guys it is so awesome.